I think this was taken from the roof of the Royal Southampton Yacht Club headquarters at the foot of Bugle street, or perhaps a window. This is a later view, taken well after Stuart died. The entrance hall visible here (now an Indian restaurant) was built in 1930, replacing an earlier design. 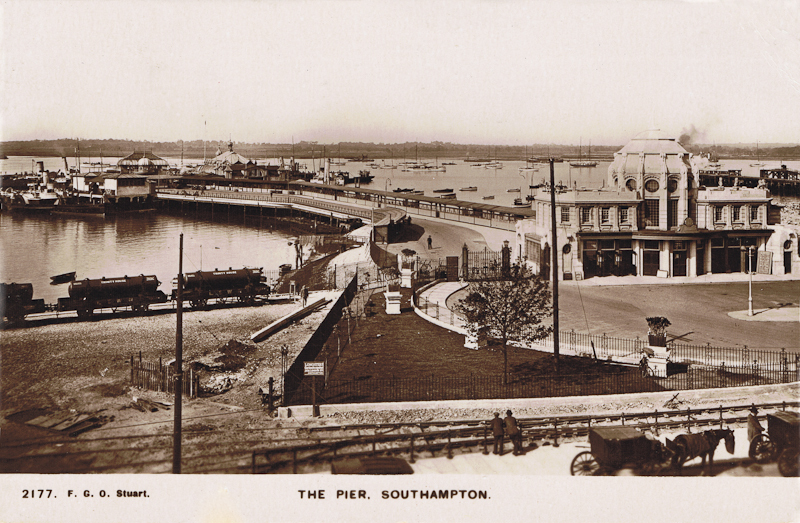 We can also see that the tracks to the Royal Pier railway station have been removed in this view (the station closed in 1921). Although the entrance hall is still there, the pier itself is now derelict.